The recent relaxation of Tokyo’s ban on arms exports has introduced Japan as a budding player in the international arms market. The government of Prime Minister Shinzo Abe has given the go-ahead for Japanese firms to compete internationally for arms contracts. 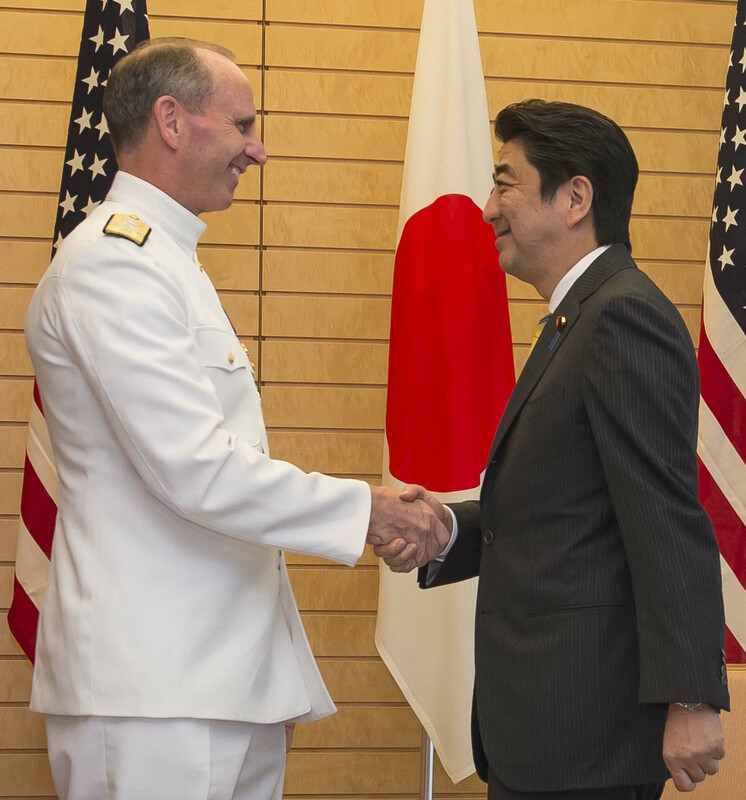 The entry of Japan into the international arms bazaar could shift the balance of power in the Pacific, equipping Asian navies and air forces with affordable, technologically advanced ships and aircraft. It will also upset the status quo among defense exporters, as Japan will carve a niche among American, Chinese, European and Russian firms. Japanese military equipment—particularly in the areas of missiles, ships, and armored vehicles —have always been technologically competitive with their Western counterparts. Despite that, Japan has for decades refused to sell any weapons or other military equipment. Although the export of arms to friendly countries should be considered allowable under the three principles, arms exports have always been seen as against the spirit of Japan’s pacifist political stance. The new stance is a more literal, liberal reinterpretation of that policy that allows arms exports to countries generally friendly to Japan. The watershed moment for Japan was the agreement in 2014 that SM-3 Block IIA ballistic missile interceptor technology, partially funded by Tokyo, could be exported by the United States to a third party. Once the Abe administration cleared that hurdle, it acted quickly to seal weapons deals overseas. The Royal Australian Navy’s current fleet of six Collins-class diesel electric submarines is projected to begin aging out beginning in 2026, and a search is under way for a replacement. The Collins, built by Australia Submarine Corporation, suffered from construction delays, quality control problems, and persistent reliability issues. The submarine class was also very expensive, costing around $1 billion Australian dollars each. The Collins replacement program has proven to be politically contentious, not only over the projected pricetag of $50 billion, but also the source. The government of Australian Prime Minister Tony Abbott is said to currently favor Japan’s Soryu-class diesel electric submarines over an indigenous design. 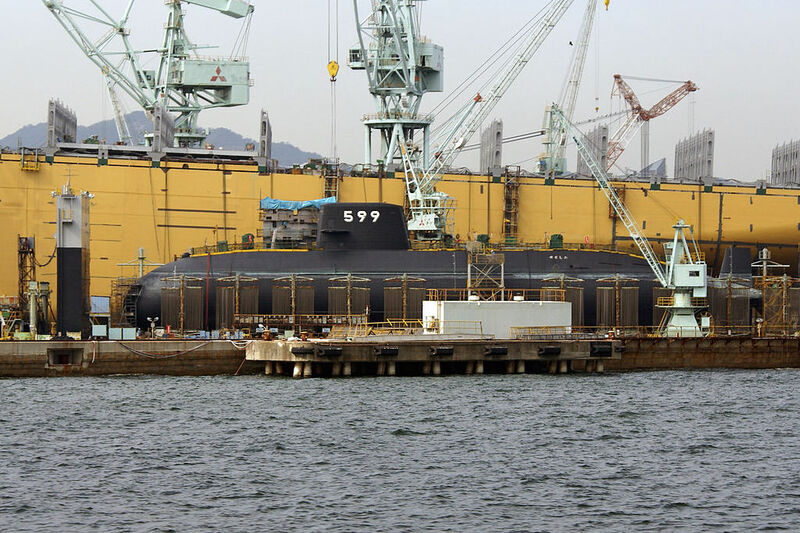 Built by Mitsubishi Heavy Industries and Kawasaki Shipbuilding Corporation at Kobe, Japan, the Soryu class is Japan’s most advanced diesel electric submarine. Displacing more than 4,000 tons submerged, each is equipped with six bow-mounted 533mm torpedo tubes for launching Type 89 torpedoes or Harpoon missiles. Of particular note is the Sterling air-independent propulsion system, which allows the Soryu class to stay submerged for prolonged periods. A major advantage of the Soryu class is that it is a proven design, with seven submarines completed and at least 10 projected. The class would also be affordable: Japan currently pays approximately 60 billion yen per Soryu sub, or $647 million (Australian) at current exchange rates. A fleet of 12 Soryus would theoretically cost $7.7 billion, although that does not factor in other costs, including training, support and new maintenance equipment and facilities. The prospect of a foreign-built submarine and the subsequent loss of manufacturing jobs has alarmed Australian industry. Domestic pressure on this front means that even if the Soryu class is chosen, Australia may press for at least partial, if not full domestic production. An Australian submarine deal would likely be Japan’s first major arms transaction of the postwar era. As such, although Japan’s arms export policies have been loosened enough to propose such a deal, regulatory and procedural hurdles on Tokyo’s end could delay a formal deal. India has relied heavily on Russia for recent naval construction projects, with repeated delays and cost overruns. The latest project, the refitting of the aircraft carrier Vikramaditya, was delayed five years and incurred $1.3 billion in cost overruns. In mid-January India invited Japan to bid for the Project-India-75 program, an $8.1 billion (U.S.) project to purchase six diesel electric attack submarines. India is interested in Japan’s Soryu class, but has signaled it wants the submarines to be built in India. India recently completed INS Arihant, first in a class of indigenous nuclear-powered ballistic missile submarines. Japan and India are also in final talks regarding the ShinMaywa US-2 seaplane. A four-engine seaplane with an operational range of 4,700 kilometers, the US-2 would perform patrol, search and rescue, and replenishment duties in the Indian Ocean. The deal is worth an estimated $1.65 billion (U.S.). Under the terms of the deal Japan would deliver two completed seaplanes and collaborate with a local Indian aviation firm on another ten airframes. Thailand’s last submarine was retired from service in 1951. 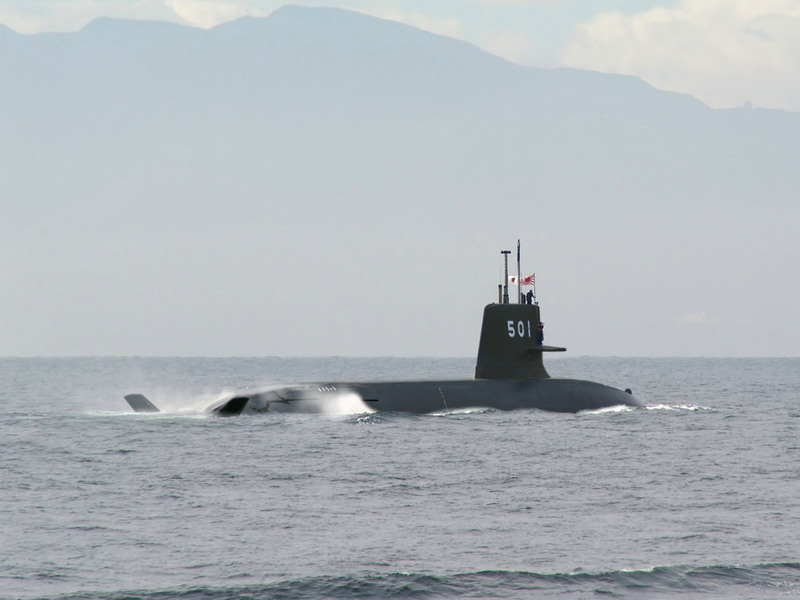 Thailand has announced its intention to rebuild a submarine fleet, and has built an extensive submarine fleet headquarters and training facility in anticipation of procurement. According to The Diplomat, Thailand is expected to include funds for the procurement of 2 or 3 submarines in its 2016 defense budget. China has offered Bangkok Yuan-class diesel-electric subs, and in mid-January, Russia offered Kilo-class submarines. Another contender is reportedly the South Korean Chang Bogo class, at $330 million (U.S.) apiece. This is yet another market in which the Soryu class could become a contender. Although more advanced than their competitors, Japanese submarines would be up to 50 percent more expensive than South Korean or Russian designs. The May 2014 military coup has slowed economic growth, and more affordable submarines may be more desirable. Finally, last years’s military coup may complicate a deal with Japan, which may not be willing to sell weapons to the junta ruling Thailand. Coincidentally, Thailand’s last submarine force, the four submarines of the Matchanu class, were built by Mitsubishi of Japan in the late 1930s. An undated Kawasaki P-1 mairtime patrol aircraft. In the wake of its standoff with China over the Haiyang Shiyou oil rig, Vietnam has been seeking to bolster its maritime patrol and surveillance capabilities. Vietnam has a coastline as long as the Eastern Seaboard, and long-range maritime patrol aircraft are now on on the country’s shopping list. Hanoi is currently in talks with the United States to purchase an unknown number of P-3C Orion maritime patrol aircraft. Although this would vastly extend Vietnam’s maritime surveillance capabilities, the aircraft are old and Washington is refusing to sell weapons for them. This would limit their usefulness as a patrol aircraft and make it unable to actively defend Vietnamese waters. The P-3Cs, if purchased, could serve as a stopgap measure. However if Vietnam wants modern MPAs armed with anti-submarine and anti-ship weapons, it might consider the Kawasaki P-1. An entirely new design, the P-1 maritime patrol aircraft will replace the P-3C in Japanese service. The P-1 has a range of 8,000 kilometers, a sensor suite advanced surveillance and tracking systems, an AESA radar and a Magnetic Anomaly Detection system. It can carry a wide variety of weapons including anti-submarine torpedoes, mines, and anti-ship missiles. 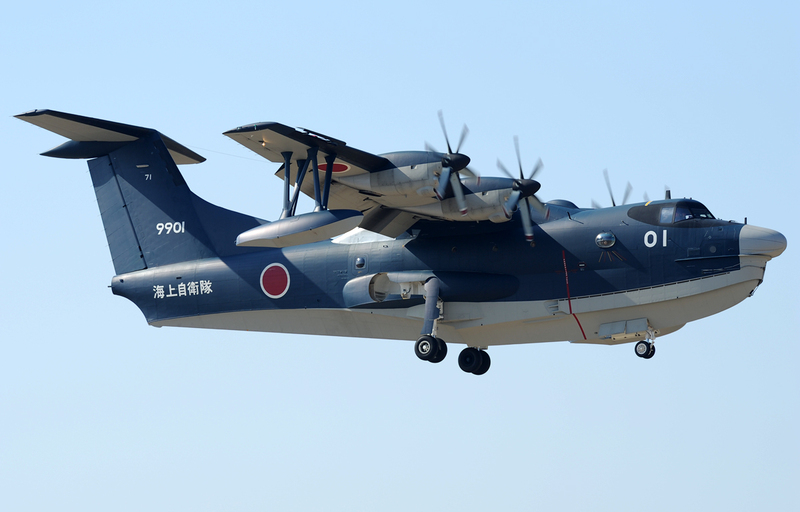 The amphibious aircraft referenced would be the US-2 seaplane, while the “early warning system technology” may be the anti-stealth radar currently under development in Japan. 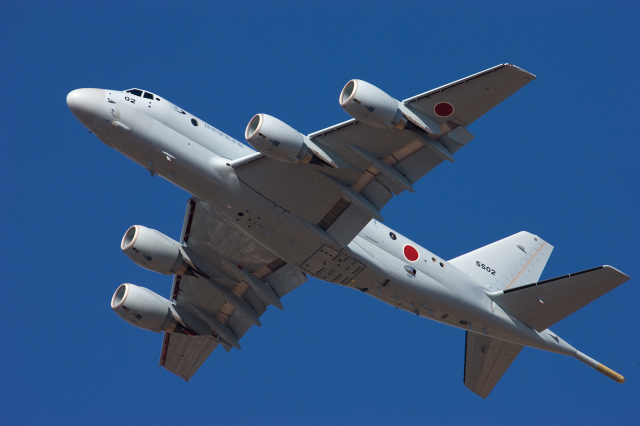 Prime Minister Shinzo Abe has publicly suggested that the Kawasaki P-1 would be a suitable replacement for the United Kingdom’s cancelled Nimrod maritime patrol aircraft. This would be the first sale of Japanese arms outside of the Asia-Pacific region. The U.K. sought to procure nine Nimrod aircraft in the late 2000s, but the contract was canceled in 2010 because of cost overruns. London currently has no fixed wing maritime patrol / anti-submarine warfare capability. Although a capable aircraft, the P-1 would likely be the underdog to the American Boeing P-8 Poseidon. Nevertheless, as one observer pointed out, if the U.K. does seriously consider the P-1 it will raise the international profile of the aircraft in particular and the Japanese defense industry in general.